Interested in the Great Wall of China? We answer some of the most asked questions about the longest man-made structure in the world. The Great Wall of China is one of the most iconic landmarks in the world. At over 2000 years old and around 5,500 miles in length it is a hugely popular tourist attraction and attracts millions of visitors every year. In today’s post we uncover some of the history behind the wall. We’ll be finding out who built it and why, besides learning some interesting facts about the enormous structure. When was the wall built? This may surprise you, but the wall was not built all at once. It was a massive project, but it took a few hundred years to complete the project in its entirety. Between the 7th and 8th centuries, most of China was divided into smaller kingdoms. These states were always fighting, and at a constant state of war. This is why that period is known as the Warring States period. Back in those days, they did not have much firepower and the armies fought with spears and swords. Most of the separate kingdoms decided to build walls to defend their borders. This action served as a foundation for the wall that we know today. 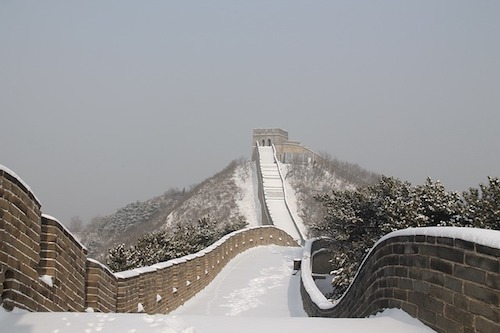 Emperor Qin Shi Huang is credited as starting the single wall as we know today. He was the first emperor of a new unified China under the Qin Dynasty. At around 221 B.C. he ordered the smaller walls created by the separate states in the Warring States period to be removed or joined together to form one single border along the north of the country. He feared raids from dangerous northern tribes and sought to protect his people. After the death of Emperor Qin Shi Huang and the subsequent fall of the Qin Dynasty, the wall was neglected. It gained and lost importance over the next few centuries as the power struggle between dynasties and tribes changed in the area. It wasn’t until the Ming Dynasty (which lasted from 1368-1644) that the wall as we know today was constructed. Emperor Yongle declared Beijing to be the new capital city and the Great Wall which lies close to Beijing became an important defensive stronghold again. The Wall was extended and strengthened with defensive fortresses close to the new capital. This new phase of construction was said to start in 1474. In the early days, the individual walls were built to protect the separate states. 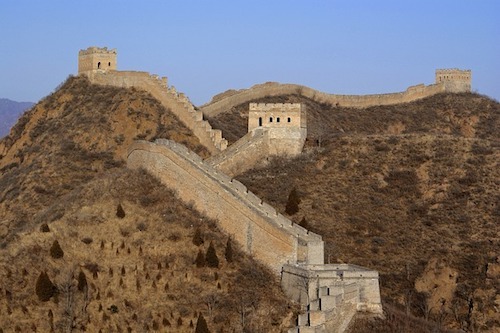 When the states were joined together under the Qin Dynasty, there was not much need for the separate walls anymore. During the Ming (1368-1644) dynasty, the country faced attacks from the northern borders as the country was at war with several Mongolian tribes. For years, the fighting raged on, but the Ming failed to gain the advantage over their enemies. After a bitter defeat at the Battle of Tumu on September 1st, 1449 (where a large Ming army was defeated by a much smaller Mongol force), the idea of the wall was revived. The emperor ordered that the wall should be built. And so began one of the most impressive military projects in history. At first, the wall was made up of separate parts to protect different borders. Later, the wall served to protect the empire from attacks from the north. The wall eventually served as a quick way to send messages through the empire since it was so convenient. It also protected valuable trade routes, such as the Silk Road, from marauders. The wall never stopped serving a purpose until much later. The Great Wall was an effective form of protection from enemies but it wasn’t exactly impenetrable. It served more as a symbol of Chinese power and strength to the rest of the world. Although the wall was a military project, it is thought that both soldiers and convicts built it. It took millions of workers to complete the project and many of the workers did not have a choice in the matter. Working on the wall was not a popular career choice since it was so dangerous. Workers had to face harsh weather, the threat of invading forces and the natural environment which was not very friendly. That is why most of the workers were slaves, prisoners of war and convicts. Occasionally they were joined by peasants who were desperate for money. Most of the workers died while working on the project. 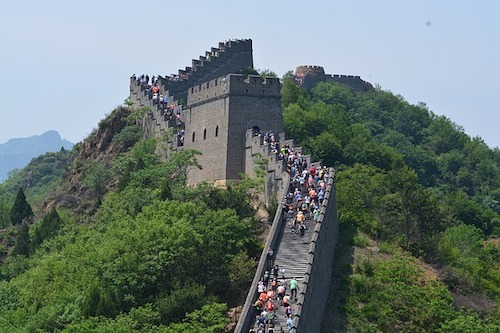 The Great Wall is a fascinating piece of architecture that draws millions of tourists every year. It is shrouded with mystery and there are many legends that surround it. But there are a few interesting facts that also come from the Wall. Many people say that the Great Wall can be seen from space. Although it is very long, it cannot be seen with the naked eye from space. You will be able to see it, which is impressive, but you will need some sort of aid. It is long, but not that long. The empire always used the best materials when it was time to build the wall, which is why it has lasted for so long. Some of the materials were a bit strange, effective, but strange nonetheless. From as early as the Qin dynasty, builders used glutinous rice flour as binding material. The Great Wall is also known as the longest cemetery on earth. Archaeologists have discovered many human remains buried underneath it. Since most of the workers were slaves or prisoners of war, it was simpler to bury them underneath the wall. It is thought that at least 400,000 workers died during the construction. Many parts of the Great Wall are threatened by erosion. Due to environmental and manmade factors, these parts could soon completely disintegrate due to erosion. In fact, experts give it about 20 years before these parts disappear completely. One of the most famous legends that surround the wall is that of Meng Jiangnu’s Bitter Weeping. According to the legend, a woman named Meng Jiangnu lost her husband after he died working on the wall. She went to where they buried him under the wall and wept so bitterly that the wall collapsed and revealed his body. This allowed her to take him home to give him a proper burial and get some closure. 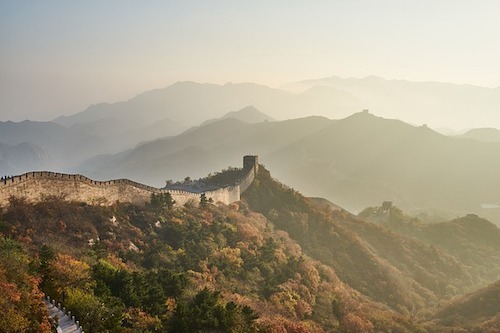 The wall was originally called the “Wan Li Chang Cheng” which translates as the 10,000-Li Long Wall. A li was an old measurement equal to about 1/3 of a mile. The Great Wall was designated a World Heritage Site by UNESCO in 1987. The Great Wall of China is a result of one of the most historic and impressive military projects. It was built by several ambitious rulers who wanted to keep their borders safe. In the past, it protected the country and today it provides a lucrative source of income thanks to tourism. We hope you found our post on the Great Wall interesting. We’d love to hear any fun facts that you know down in the comments section! Check out our most recent articles on cat behavior and ‘The Office’ TV show for more interesting reads. Don’t forget to join our Facebook page to stay notified of all the latest news here at KnowMoreStuff.com as well as getting daily facts and quotes.